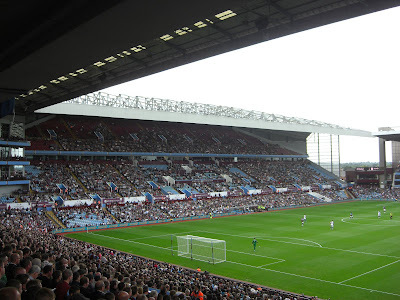 My fiftieth stadium of 2011 was on Saturday 20th August 2011 at Villa Park in Birmingham, West Midlands. 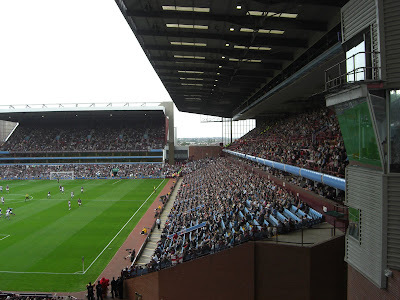 The match was Aston Villa vs. Blackburn Rovers in the Premier League. Villa Park is a several miles away from the main railway stations in Birmingham but the ground is just a few hundred yards from Witton railway station which runs regular services on matchdays. 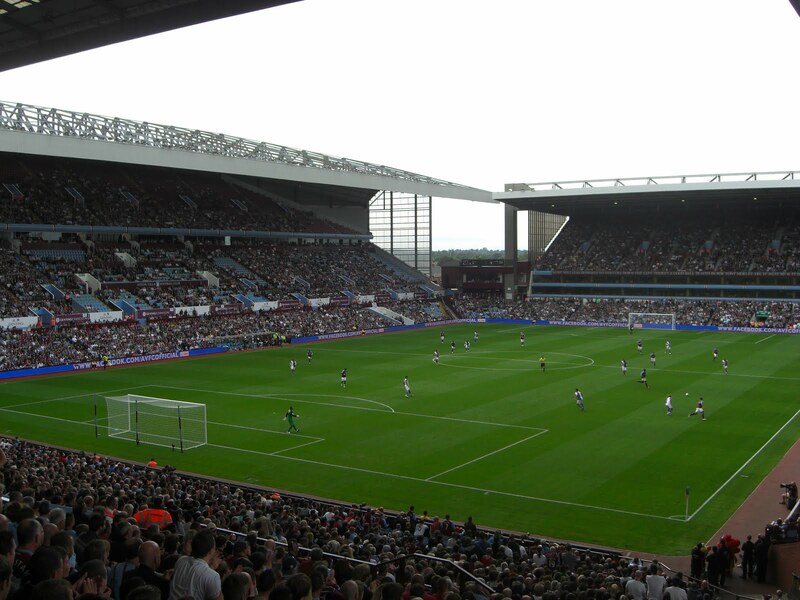 It has been home to Aston Villa since 1897. The ground has four separate stands with varying capacities. The Doug Ellis Stand on the north-east side of the venue runs alongside the pitch and is a 9,000 capacity two-tiered structure with a row of executive boxes separating the two tiers. Away fans are positioned in the right-hand portion of this stand. Opposite this stand on the south-west side of the venue is the Trinity Road Stand, a 13,000 capacity three-tiered stand which was renovated in 2001 making it the newest stand in the ground. On the north-west side of the ground is the North Stand. Like the Doug Ellis Stand, the North Stand is a two-tiered structure with executive boxes separating the two tiers. With a capacity of 7,000 the North Stand is the smallest stand in the ground and the club have initial planning permission to expand it. The south-east side of the ground is home to the largest and most famous stand at Villa Park - the Holte End. This very tall two-tiered stand can hold 13,500 fans and is where I watched the game from. The game was dominated by the home side who raced into the lead after 12 minutes when Gabriel Agbonlahor danced through the Blackburn defence before looping a superb finish over Paul Robinson. A quarter of an hour later the Villa doubled their lead as Emile Heskey scored from the edge of the box. More chances came their way but none were taken leaving the score at 2-0 at half-time. In the opening passage of the second half Villa seemed complacent and were punished when Pedersen headed in a cross to make it 2-1. However, shortly after this a deflected shot found its way to Darren Bent in the Blackburn area and he fired home to restore the two goal advantage which is how it stayed until the end.